~Romance in a small southern town. Available at these retailers, click on their link to download for free. Nothing is working out like Bella planned—she finds out the man she is falling for, Owen Campbell, is the businessman at the center of all her problems. 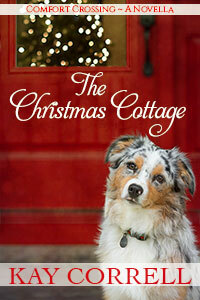 Owen has secretly longed to belong—somewhere—anywhere—his whole life. When he decides to give his long-lost brother, Jake, back his birthright, he unknowingly thwarts his briefly held hope of a place where he can put down roots and a family he longs for. Nothing is working out like Owen planned—neither Bella or Jake want anything to do with him. How can a man who is used to being in control and a woman determined to make it all on her own find a way to happiness? 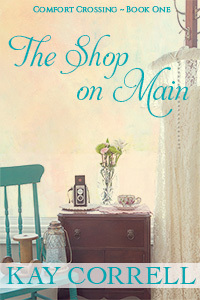 The Shop on Main is Book One of the Comfort Crossing series. Bella and her best friends, Jenny and Becky Lee, navigate the heartaches and triumphs of love and life in the small southern town of Comfort Crossing, Mississippi. When Dr. Clay Miller returns to Comfort Crossing with his two daughters, Jenny Bouchard knows it is time. Time to tell him the truth, no matter the consequences. Clay has a son, Nathan. From the moment Jenny and Clay see each other again, the attraction still pulsates between them, a fact they both do their best to ignore. Jenny searches for the right moment to tell Clay the truth and a chance to explain—she had made her choice, kept her secret, to protect her son. When Nathan is injured, she knows her time is running out. Jenny fears when the truth is revealed, she will lose not only Clay, but Nathan as well. Madeline Stuart, a St. Louis-based accountant, has sworn off relationships. Reeling from a breakup with her long-term boyfriend and her mother’s recent death, she’s determined to avoid personal entanglements of any kind. Deserted by his big-city girlfriend because he’s a “country bumpkin”, Gil Amaud, a business owner in Comfort Crossing, Mississippi, has sworn off women. Madeline’s curiosity is piqued when she finds an old letter hidden in her grandmother’s antique writing desk addressed to Josephine Amaud in Comfort Crossing. With Gil’s help, she tracks Josephine down and learns the letter is from her first beau, who disappeared suddenly many years ago. 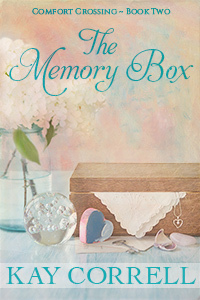 While they search for Josephine’s lost love, both Gil and Madeline try to deny the attraction developing between them. Can a big-city woman and a small-town businessman help to reunite the star-crossed lovers? And can they find a way to put aside their differences to build a future together in this sweet, heartwarming tale of love and forgiveness? Maybe, just maybe, a second chance is all they really need. A woman chasing a life-long dream. A man given a second chance at love. If one wins, the other loses. Does a stranger’s scarf hold enough magic to make both their Christmas wishes come true? Missy Sherwood has always wished for one thing, to be a country singer. After trying to make it for years in Nashville, she returns to her hometown of Comfort Crossing, Mississippi, feeling like a misfit and a failure. But there’s no use in telling anyone the truth just yet—she’s here for longer than the holidays, she’s home for good. Right? Dylan Rivers is glad to see his old friend return to town, not only to help him with the children’s Christmas pageant, but because her homecoming sparks long-forgotten but never acted upon feelings. But there is no use in acting on those feelings, she’s soon to head back to her fabulous career in Nashville. Right? Then a stranger comes to town and has Missy re-examining her dreams. She gets one final chance, and her life-long wish is within her grasp. Is there really magic in the stranger’s scarf, or is it in the power of knowing her heart’s true wish? Reluctant restauranteur, Keely Granger, wants nothing more than to escape the small town she’s lived in her whole life, but her guilt and family responsibilities keep her firmly entrenched in Comfort Crossing, Mississippi. Lonely photojournalist, Hunt Robichaux, takes a break from his life-is-short, chase-after-your-dreams lifestyle and returns home to help his recently widowed sister and his nephews. But every responsibility he’s ever taken on ends in disaster, so he’s determined to leave before anyone starts to depend on him and gets hurt. As Keely and Hunt’s relationship cook up to a more-than-childhood-friends level, Hunt has to decide if he’s been chasing his dreams in the wrong part of the world. But as secrets from their past begin to unravel, Keely reels from the knowledge that everything she’s believed to be true is all a lie. A disaster — and the truth — threaten to tear them apart forever. Becky Lee is strong, independent, and lives on her own. She’s happy with that, really she is, but she’s always secretly longed for a family of her own. She just didn’t expect to get one quite like this—by marrying a man she barely knows to keep her nephew safe. Becky Lee owes her sister that much. Cal would do anything to keep his nephew from a life of being raised by his grandfather, the same ruthless, do-anything-to-win man Cal has been running from for years. He’s all in on Becky Lee’s absurd marriage proposal because it just might be the only way to protect the boy. Cal owes his brother that much. Neither is prepared for the danger that surrounds them or the attraction that builds between them after their Unexpected Wedding. Star-crossed lovers, Josephine and Paul, (from The Letter – Book Three in the Comfort Crossing series) finally get their wedding in this short story. Or do they? SIGN UP HERE to be notified of new releases, special promotions, and fun giveaways!